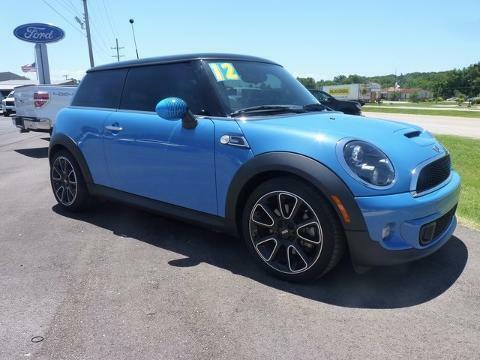 ONE OWNER LOCAL TRADE 2012 MINI COOPER S BASE FWD BAYSWATER EDITION. SUNROOF, AUTOMATIC TRANSMISSION, POWER WINDOWS, POWER LOCKS, CRUISE. THIS MINI COOPER HAS LOTS OF EYE APPEAL. CALL OR STOP BY FOR A TEST DRIVE!!! ---- IF WE DON'T SERVE YOU, WE DON'T DESERVE YOU! Seminole Ford proudly serving the following communities Seminole, Shawnee, Prague, Tecumseh, Wewoka, Holdenville, Wetumka, Ada, Norman, Stroud, Okemah & Meeker.